We all brush our teeth at least twice per day for about three minutes. Unfortunately, most of us also leave the water running during this process. That’s six minutes of completely wasting the water for nothing. No one knows exactly why we do it, but let us tell you that you can and you should get rid of that habit. One of our first challenges was about saving water while taking a shower. And if you read that post you must be thinking that the water we use while brushing our teeth is basically nothing compared to the amount of water spent while taking a shower. Think again. 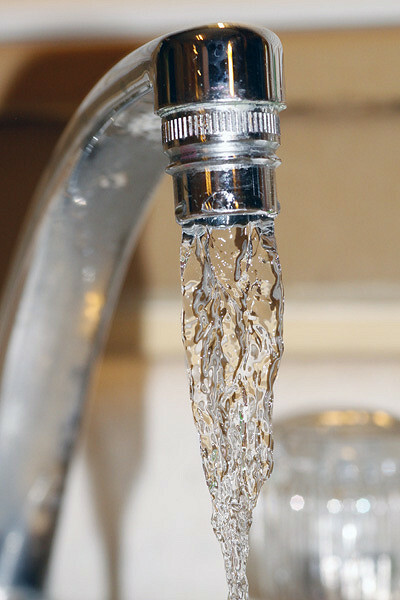 On average about 12 liters (over 3 gallons) of water come out of the sink pipe in one minute. That adds up to 36 liters (9.5 gallons) of water wasted for nothing if you brush your teeth for 3 minutes, as the dentists all around the world recommend. We still have to multiply this number by two, since we all (we sure hope so for the sake of your teeth) brush our teeth at least twice per day. So the total amount of water we waste by not turning off the water while brushing our teeth is over 70 liters (over 19 gallons) of precious water per day per person. On a yearly basis that adds up to 26,280 L (almost 7000 gallons) per person. 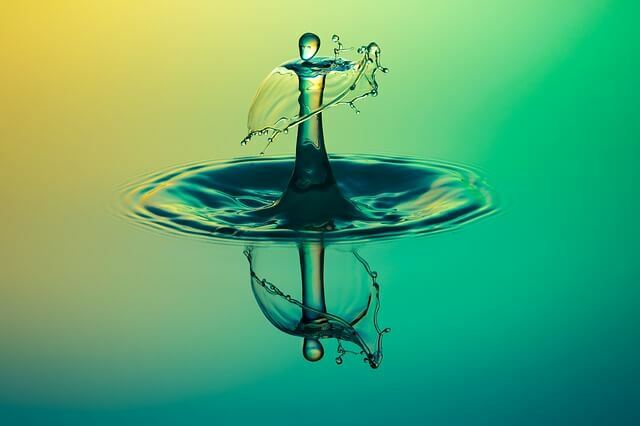 If we look at the bigger picture, that’s over 23,800,000,000,000 liters or 6.3 trillion gallons of water spent for nothing in one year for the US, Canada, and Europe alone. Wow! That is a lot of water wasted down the drain. Rinse your toothbrush – that way you wash off potential dust and some of the bacteria. Also, you need your brush to be wet for the toothpaste to start foaming. 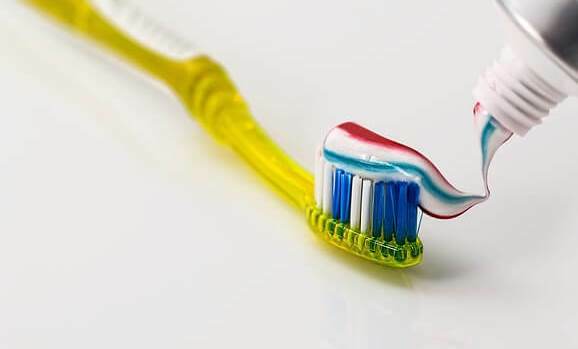 Apply toothpaste onto your toothbrush – try not to touch the brush with the end of the toothpaste tube. There are always some bacteria on your brush and it wouldn’t be fair to other users of the toothpaste. That is of course if you’re sharing the toothpaste. Start brushing your teeth. The best way – the way that is taught by the dentists all around the world is to start on one side and brush each section (i.e. the surface that is covered by the brush) from gums to the end of each tooth. That action should be performed at least 8 times per section. The force you use shouldn’t be too great – using only your thumb and index finger provides enough pressure. The number of sections depends on the size of your jaws and the size of the toothbrush you are using. In other words, you should make sure you brush each tooth 8 times. And don’t forget you have to go through upper and lower set of teeth, inner and outer side. To wrap it all up, you have to brush each set of molars’ tops 8 times. Spit out the paste, rinse your mouth with water and you’re good to go. If you are not flossing already, we seriously advise you to start. No matter which toothbrush you’re using, there are parts of your teeth that no brush can reach, that’s why you should start using dental floss. It can greatly improve the health of your teeth and gums. Wrapping a floss around your fingers and trying to reach the gaps between your molars can be really unpleasant. Using floss picks can improve the flossing experience drastically. Our suggestion is to use the floss before brushing since you’ll get out pieces of food from between your teeth. Even though the baby teeth will fall out eventually, the care for them shouldn’t be neglected, since their bad condition can cause poor health of permanent teeth. You should brush your baby’s teeth from the second the first tooth comes out. At first, you can use only a wet toothbrush. Even before baby’s first tooth comes out you can use a wet towel to gently scrub baby’s gums. Teeth brushing routine is a habit and as such, it should be developed as early as possible. You have to teach your child how to properly brush his/her teeth. Even flossing should be performed as early as possible. 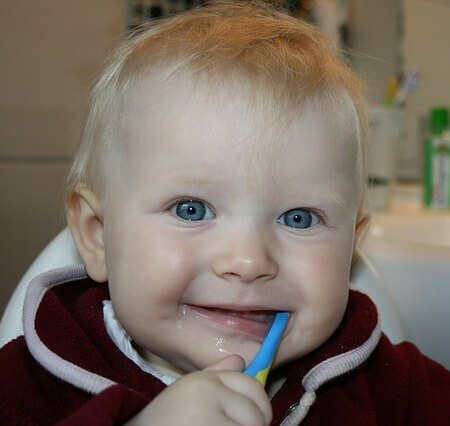 We know that coordination needed for a person to properly brush his/her teeth on average doesn’t develop until the 4th year of age, but still, you should make sure to give your child his/her brush into his/her hand at the same time he/she starts using forks and spoons. Of course, you should still brush your child’s teeth until you make sure he/she knows how to do it properly himself/herself. According to most dentists, the best toothbrushes are Curaprox brushes. They come in different colors and with different brushes hardness. In the beginning, we advise you to try the ultra-soft brush type. Of course, there are also electronic toothbrushes, which can make tooth brushing totally easy. Moreover, there have been some new studies that show cleaner teeth when using an electronic toothbrush. If you’re thinking about switching over to one of those, here is a top pick according to the professionals: Oral-B Black 7000 with SmartGuide. We hope you’ve learned some new information or maybe just freshened up your knowledge on teeth brushing. You can save up to 72 liters (19 gallons) per day. Brush your teeth the right way. The type of toothbrush you use matters – use the best one. If you can afford it switch to an electronic toothbrush. This entry was posted in Challenges and tagged don't waste water, How to brush your teeth, save water save life, save water while brushing your teeth, the best electronic toothbrush, when start brushing baby teeth, Which is the best toothbrush. I’m all for saving the environment so I always turn off the tap when I’m not using it. Still a good reminder, though, I’m sure lots of people forget! The tips for brushing teeth are helpful. I didn’t know about brushing each tooth 8 times for example; I just sort of jab my brush in my mouth and move it around randomly LOL. You’re more than welcome, Chiqui. Keep up the good work and join us on performing other challenges. Thank you for sharing your thoughts with us. Since you seem really touched by water consumption, you might be interesting in checking out one of our earlier challenges – Why do people eat meat? We sure hope you’ll be joining us on other challenges. This is a very interesting article because I was guilty of this for years. Once I retired and moved I change my brushing habits because I didn’t want to waste all the water. 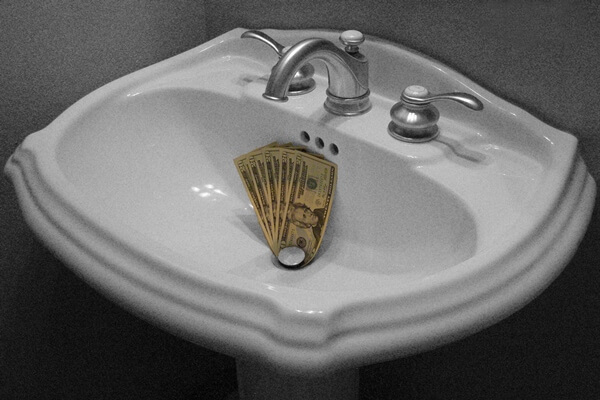 Your tips are perfect for brushing and saving water. If we all do it, it all adds up to so much water saved. Another tip? Guys? Same thing with shaving. Fill the sink with water and dip your razor in it rather than running the water. More saved!